CONTACT US WE ARE HIRING! 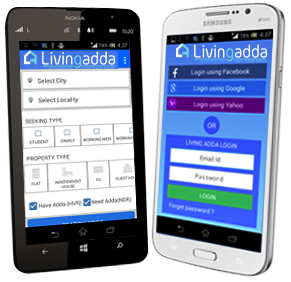 Livingadda.com is The New Way to find a flats,Independent Duplex,PG,Guest House and Hostel on rent .Website that helps people finding apartments, sharing rooms , PG's , Independent Duplex Houses,Guest House and Hostel on rent .THE NEW WAY TO FIND YOUR ADDA OR ADDAMATE of the website ensures 100% live property along with multiple options for flats,Independent Duplex,PG,Guest House and Hostels. Copyright © 2019 SINGHAM VENTURES PVT LTD. All rights reserved.